Defines a stacked chart symbol. This object is a symbol which is used by a ChartRenderer to draw stacked bar or stacked column charts for a feature layer. I3DChartSymbol Provides access to 3D properties of chart symbols. IChartSymbol Provides access to properties common to all type of chart symbols. IMarkerBackgroundSupport Provides access to members that control the marker background support. IMarkerSymbol Provides access to members that control marker symbols. 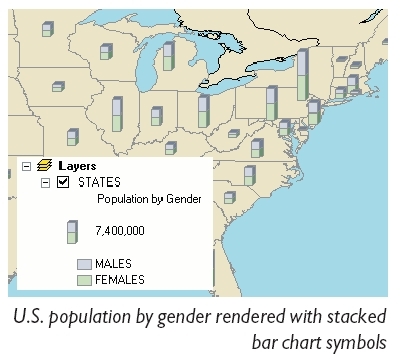 IStackedChartSymbol Provides access to stacked chart symbol properties. ISymbol Provides access to members that control symbols. ISymbolArray Provides access to members that work with an array of symbols.